Do you only want your students to submit Microsoft Word documents? Are you tired of getting submissions in Apple Pages formats that you can’t open? 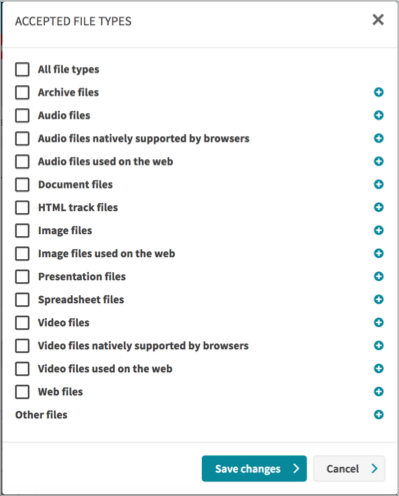 At last, it is now possible to restrict the types of file that your students can submit as an assignment on QMplus. 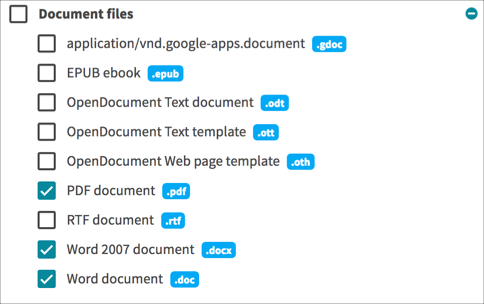 In the Submission types section of the settings for an assignment, you will find an Accepted file types field. If you click on the Choose button, a pop-up dialog will appear allowing you to choose the files that you want to allow as submissions. There are a large number of different types of files you can define as being acceptable. Here we select Microsoft Word and PDF files. 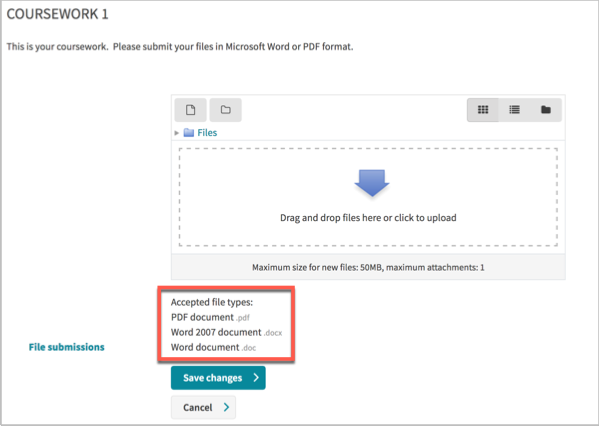 When students are submitting their assignment, they will be presented with a list of the valid file types and will only be able to upload files of those types. We do also recommend that you tell your students about any file format expectations well in advance so there are no last minute surprises!